Following many years of incremental savings which were cumulatively substantial, a “transformation review” of Bracknell Forest’s library service with a target to save a further £400,000 (about 25% of the budget) over 2 years brought trepidation to staff, elected members and the public - all of whom assumed closures were inevitable. 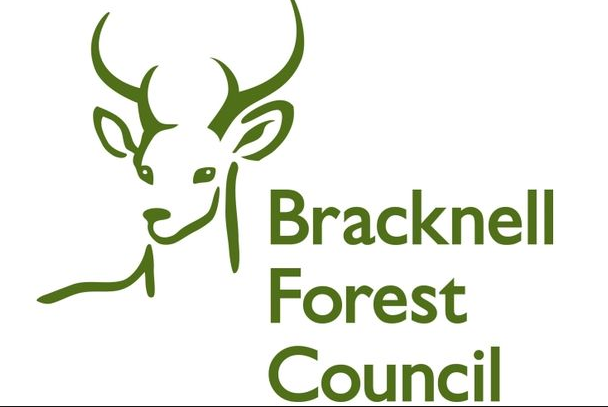 In Bracknell Forest, however, a review means a review with no pre-determined outcomes, and with our appointed consultants, Activist, off we set to analyse, plan and then implement our findings, at all times trying to take the public, elected members and staff with us. An early review of our stock selection processes identified genuine efficiencies based on reviewing our purchasing policy, moving towards supplier selection and direct delivery to all our branch libraries. Truth be told, these changes should probably have been implemented though “business as usual” but was a welcome start, set to realise about £112,000 in a full year. Various options of closing libraries were then modelled and assessed against the requirement to provide “a comprehensive and efficient library service for all persons”, which ranged from retaining 1,3,5 or all 9 of our libraries. Other than having only one central library, in certain circumstances, it was felt all other options could have been viable. However, maintaining 9 libraries and reaching the financial target set only looked possible if we remodelled our service and utilised volunteers to support library staff and this too was modelled. Looking hard at the service we were at that time offering vividly highlighted that our opening hours were inconsistent and insufficient and, within the context of a transformational review, the potential to seek support and funding for Technology Assisted Opening (TAO) gathered momentum. This was an area we had started to dabble in already, but the review created the opportunity to see the potential in a wider context and a fully costed plan was prepared. During the process, two rounds of public consultations were undertaken to consider primarily the concept of utilising volunteers and the acceptability of TAO to users. The consultations – 8 public meetings and 2 questionnaires - were very successful with the questionnaires garnering over 3000 responses, but crucially the responses influenced the subsequent decisions made by elected members. As well as the importance of book borrowing and reading, the responses highlighted the local social and community impact of library services on the elderly and young particularly. What was refreshing was that all the social benefits of libraries described in a strategic sense by Arts Council England (e.g, The health and wellbeing benefits of public libraries, Fujiwara, Lawton and Mourato, March 2015) were actually replayed back by the public but in their own words. Very powerful stuff. They also told us they were unimpressed with the opening hours. Staff were consulted too and expressed a mixture of concerns – particularly about volunteering and the potential impact on professional library staff – but they also recognised opportunities and wanted to be involved in stock selection for their branches. Six meetings between staff and senior management were held to explain the process and hopefully allay some fears which in part was successful if not entirely. However, the key point was that conversation were being had. Most importantly, senior library staff were driving the transformation directly. The preferred option put to the public was to retain all 9 libraries but to rely more heavily on volunteers to support library staff, with savings being made through the natural turnover that had been evident in the service over the years. Technology assisted opening would be introduced allowing greater access, and stock acquisition and distribution would be changed. The public response was that 78% agreed with the way forward, with those who disagreed concerned about the future quality of the service. 37% stated they would be interested in volunteering (an increase of 8% over the first consultation). On this basis, Elected Members agreed to progress with the plan. the shop floor. A promising start, but everyone recognises much work still has to be done. Looking back, it seems unlikely that a better library service would be the outcome of the transformation review, but, in the end, all 9 libraries have been retained, a significant new investment in technology is being made which will create better access for users, and more community involvement in the running of our libraries should strengthen the sense of community. Everyone recognises much work is yet to be done to ensure success with users and staff alike, but it really does seem appropriate to conclude that the transformation review of Bracknell Forest’s library service really has produced a better service for the future. To keep up to date with activities across Bracknell libraries, follow them on twitter. Efficiencies in stock management - about £112k. Supplier selection with 5 voluntary redundancies. Technology enabled transformation - about £134k. Assuming normal turnover levels over a two year period and structures being continually assessed with a reliance on volunteers to support staff should produce this level of savings and give greater access to our libraries. Service re-structure and single staffing - about £149k. A large part of this was from vacancy management and library management regularly reviewing structures. We also plan to single staff the smaller libraries as we previously used to, most likely with volunteer support but this is not a condition for opening. Library management are also reviewing supervisory structures at the current time.